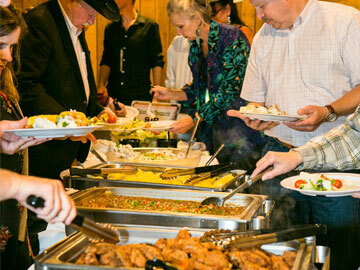 Rein Fire Ranch is uniquely suited for many different style of events, and with our experienced onsite event producers, in combination with our exceptional partners, we will work as a team to bring your specific event or occasion to life. Available in three different time blocks of use, we are also able to create a custom quote to fit most any experience you are looking for. Use of garden & pavilion, firepit, cabana bar, barn meadow & long meadow. * 12, 6 or 3 hour rental period, including time for you decorating/deliveries and clean up, occurring between the hours of 10am-10pm (amplified music ending at 9pm). 1 hour planning meeting prior to event. 1 Hour Event rehearsal will be available within the week before your event on a space available basis and during our normal business hours. We have a number of Add-on packages for everything from organizing your slide show to a wagon rides to our Officiant Package. See what we can do to make your event special in every way. 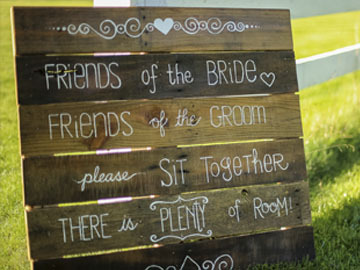 Check out our wedding design elements available for rental. Allow us to help you customize your wedding to be a unique and memorable experience for you and your guests. 50% of the base rental fee [$750 of which is Non-Refundable]. The balance of the base rental fee, in addition to a $250 Refundable Dmg & Incdntl Deposit is due 90 days prior to the event. 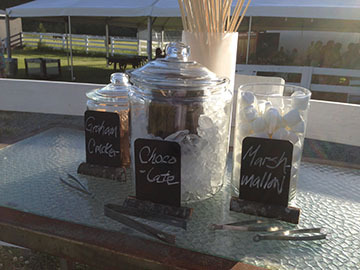 We have an excellent selection of caterers on our preferred catering list for you to select from. We do allow alcohol, which can be coordinated through your caterer, or you can bring it in yourself by securing a banquet permit, hiring a licensed bartending staff and purchasing event insurance that includes Host Liquor Coverage. We do require you to select your bartending staff from the list on our website, as well as secure your insurance through TheEventhelper.com. We have an amazing Preferred DJ & Live Band List on our partners page for you to select from.